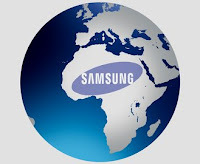 Samsung Electronics Africa announced that it will bolster its Corporate Citizenship efforts in Africa in a bid to help the continent achieve its Sustainable Development Goals. more than 50% of all out-of-school children worldwide, which affects their future employment opportunities. The dire situation faced by many African countries is a result of a number of factors, including civil unrest, cultural beliefs and a lack of schooling infrastructure and resources. It is against this backdrop that Samsung Electronics Africa has adopted an attitude of innovation by introducing technology where it previously has not existed. The aim is to make sure that every African child has access to education no matter where they are on the continent, using state-of-the-art digital technology enjoyed by children in developed countries. Samsung believes that digital technology can completely transform the learning process, as well as the nature of teaching and learning, to create inclusive environments for everyone. Its Solar Powered Internet Schools, Smart Schools and E-Learning Academies provide solutions that deliver on this vision and improve the quality of learning, enhance teaching effectiveness and allow administrators to run institutions more effectively. The company works with educators around the world to improve learning experiences through the use of technology, facilitating a classroom environment that is limitless and gives students access to a world of knowledge from their desks or on the go. Through these education initiatives, Samsung hopes to instill a love of learning in students so that they may have equal access to opportunities and go on to become active participants in the economy. This can help to reduce the number of out-of-school children, giving them a chance to succeed. Earlier this month, Nigerian president, Muhammadu Buhari, attended the launch of a Smart School in the state of Ogun. Samsung will continue to drive access to education by launching a number of education initiatives in Ghana, Kenya, Rwanda, Tanzania, Uganda and DRC in 2016. However, it takes more than simply providing access to education. As a result of the work Samsung continues to do across the continent, alongside governments, private sector partners and communities, it has come to light that many graduates leave institutions of higher learning with strong theoretical knowledge but lack the practical skills needed by industry. Samsung’s Engineering Academy and Air-conditioning and Refrigeration Academy aim to change this by providing free, intensive, hands-on training to graduates. The Academies seek to develop skilled young African leaders who are adequately prepared for the world of employment. The programme forms a core part of Samsung’s vision to fast-track the entry of African youths into the electronics job market and to reduce the shortage of scarce skills in the IT industry. Zimbabwe will be a recipient of one of these academies this year. “Investing in the skills of the youth also benefits Samsung - the more young people we can develop with skills in the electronics industry, the more we can be assured of our ability to provide excellent service to our customers,” says Tau. According to the World Bank, more than 60% of people in Sub-Saharan Africa live in rural areas and are unable to access clinics for proactive medical care. To help alleviate this, Samsung Electronics Africa has put initiatives in place through public-private partnerships. In 2013, Samsung introduced the Solar Powered Health Centre, a solution housed in a shipping container fitted with the most advanced medical equipment and Samsung solar panels. Patients can be screened at the centre to diagnose conditions such as diabetes, high blood pressure, tooth decay and cataracts. They can also access information on health issues. Samsung’s Mobile Health Centre, which uses technology to remotely connect to specialist doctors anywhere in the world to get expert opinion and diagnoses, communities quick access to primary healthcare, screening, mother and child facilities, dental care, eye testing and emergency care. This year, Samsung will be establishing a Mobile Health Centre in Togo. Samsung’s Digital Village, which focuses on the challenges in underserved and rural communities, provides access to new experiences by bringing advanced Information and Communication Technologies (ICTs) to under-resourced areas. This helps to bridge the digital divide and serves as a catalyst for local business and government service delivery. The Digital Village is a hub where community members can access educational and health solutions. Within a Digital Village set-up, Samsung also offers a Mother and Child Unit, which is equipped to offer comprehensive pre- and post-natal screening, care and education in an effort to reduce Africa’s high infant mortality rate. In 2016, Samsung will be launching Digital Villages in Kenya, Ethiopia and Tanzania. “These multi-purpose offerings provide a sustainable solution to challenges faced by African people, while improving their standards of living. The model addresses one of Africa’s largest economic challenges – electrification. The scarcity of electricity results in limited access to education, healthcare and connectivity – all of which are key to socio-economic development,” adds Tau. Samsung Electronics Co., Ltd. inspires the world and shapes the future with transformative ideas and technologies that redefine the worlds of TVs, smartphones, wearable devices, tablets, cameras, digital appliances, printers, medical equipment, network systems, and semiconductor and LED solutions. We are also leading in the Internet of Things space with the open platform SmartThings, our broad range of smart devices, and through proactive cross-industry collaboration. We employ 319,000 people across 84 countries with annual sales of US $196 billion.